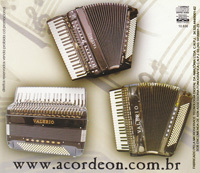 In Brazil, we are rarely privileged to enjoy a work made with accordion, with pieces specially written for this instrument. The virtuosity of Regina Weissmann took a particular shine pieces composed by Pietro Deira, Italian musician who died in 1954 and which was rooted in the United States since 1917. The lovers of good music and well read, especially the accordion, certainly much enjoy this CD, which was very well balanced for goods produced and directed by Lauro Valério, putting in evidence all the resources of the accordion and performance of the performer. It is another side of the accordion. The classical side and learned all that shows the size and scope that can be achieved with this instrument. 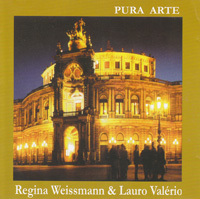 We stress that the musician, and leader of the Association of Brazilian accordionist, Lauro Valério, accordionist honors his colleagues participating in this CD track 10, with the piece entitled "Trieste" by Pietro Deira, in addition to the authors of the last track of this album, "Paradise Lost" specially arranged by Prof.Regina Weissmann.